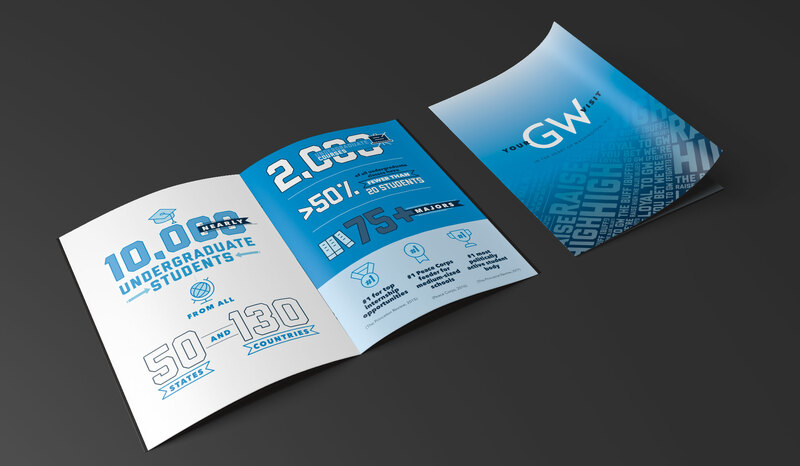 GW Marketing and Creative Services' visual designers and project managers support university schools, departments and offices in the creation of visual communications including advertising campaigns, brochures, publications and environmental branding, as well as web design. The team includes award-winning graphic designers and project managers who serve as the main points of contact among university partners and work to ensure that communications strategically support university initiatives. 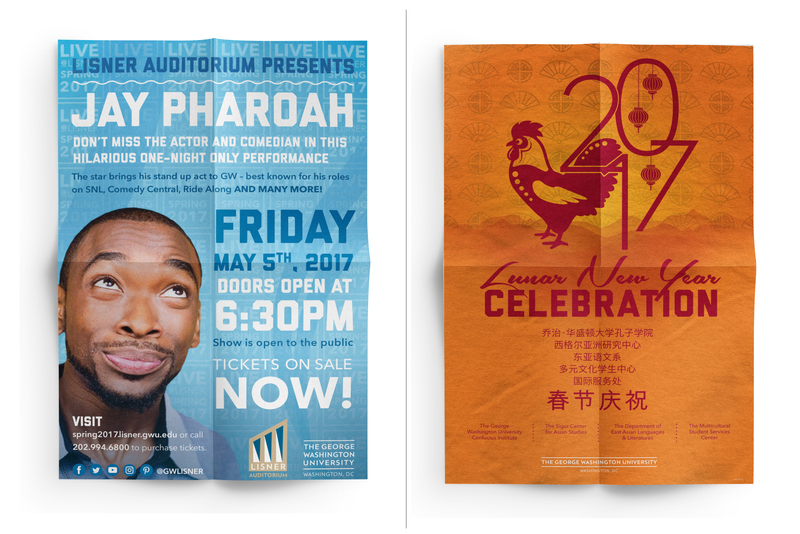 MCS produces a multitude of print materials such as posters (standard tabloid size and larger) to promote campaigns, special events, provide way finding and service announcements. 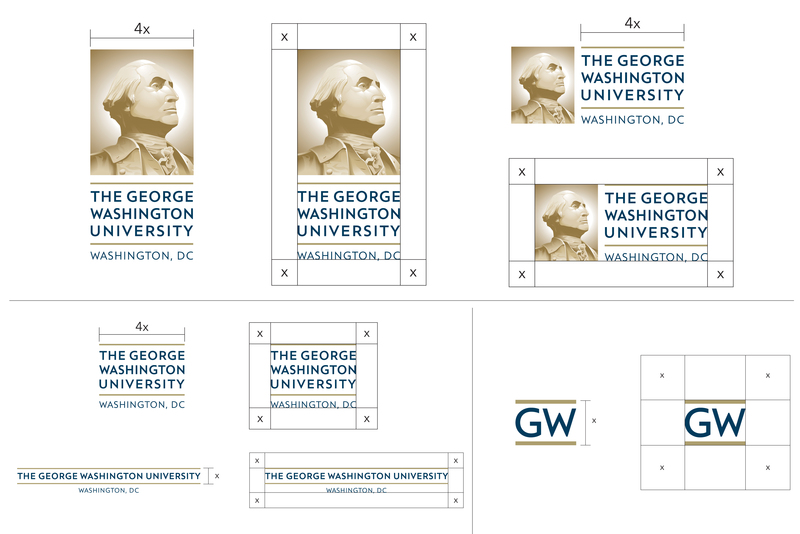 MCS is the steward of the GW Visual Identity Guidelines and also provides guidance to university communications offices for working within the guidelines. MCS helped develop guidelines with outside vendors and created the updated George Washington portrait in-house. 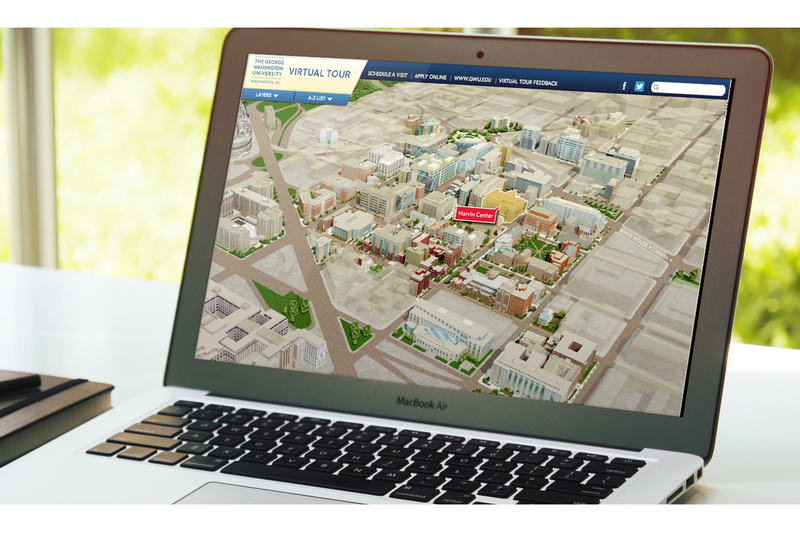 MCS wrote the content, photographed the buildings, designed the interface and developed the site architecture for the web-based, interactive map of GW campuses and the main campus in relation to downtown Washington, D.C. MCS works with an outside service provider to host the site. 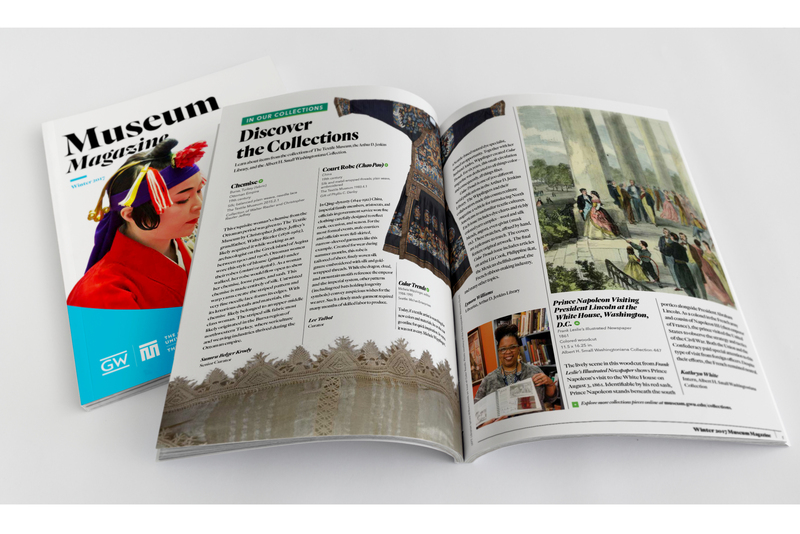 MCS produces The George Washington University Museum and The Textile Museum quarterly magazine in addition to print, web and environmental graphics. MCS produces an array of campaign and event logos that adhere to University Visual Identity guidelines in order to convey a single, unifying voice. 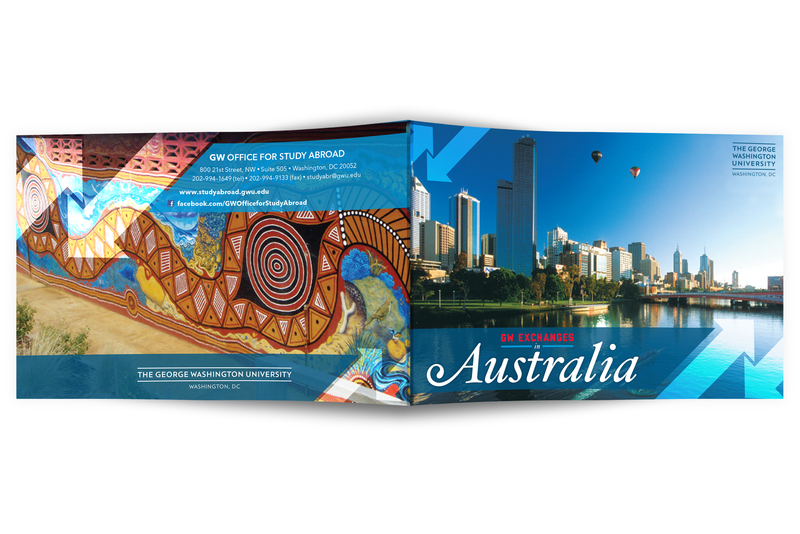 MCS produces multi-page pamphlets and brochures of shapes and sizes such as the Focus on Study Abroad location-specific program brochure. MCS produces the photography, page layout and some of the custom illustration for the award-winning seasonal alumni magazine, in coordination with the External Relations editorial team, with a circulation of over 250,000 copies distributed to alumni worldwide. 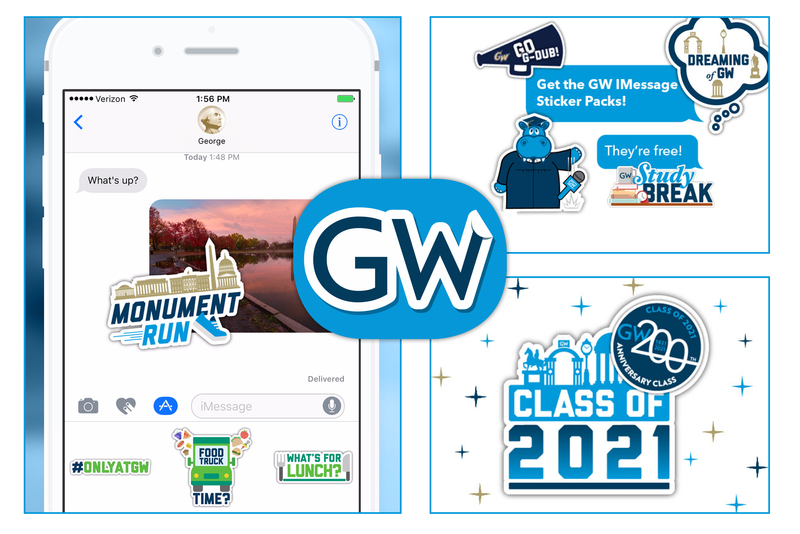 MCS produces promotional graphics for GW's official digital media channels, such as the custom iMessage sticker pack for iOS, created to promote particular university events or messaging. All illustrations and animations are produced in-house. 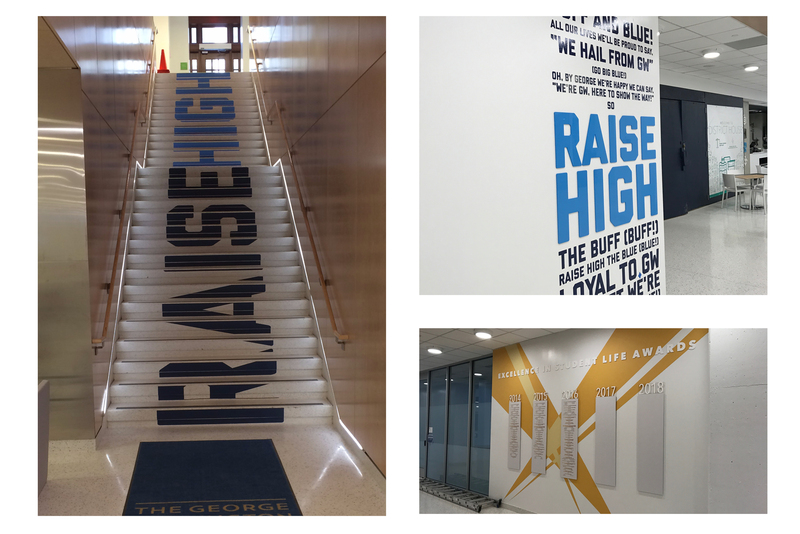 MCS produces site-specific environmental graphics including but not limited to event promotion and wayfinding signage. 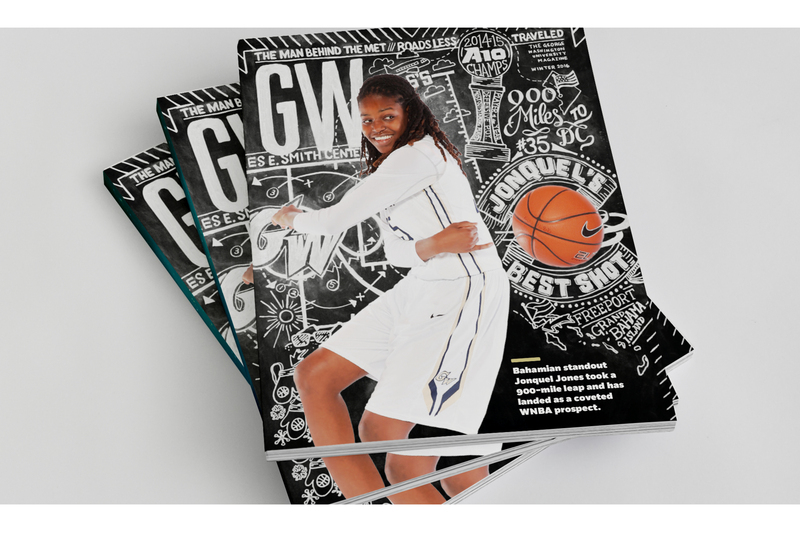 One of the print pieces most of the prospective students and their parents will receive upon arrival at the GW Welcome Center, their first interaction on campus.